Very simple installation, first helmet took 30 minutes just took my time and made sure to get it right, second helmet took 10 minutes. Bought just for my gf and myself, rarely ride with others. Glad I bought this finally! Have had the unit for a week or so now. I generally use it for listening to music as most trips have been short about town. I set each unit myself and had to look up a YouTube video but it was fairly simple. The intercom works well being used while one person practiced doing slow maneuvers and the other watching. Have used the unit in order to make calls and the other side of the line could not tell I was even riding a motorcycle. In all I believe it is a very worthwhile investment. Still getting the hang of all the controls and functions. Battery life is great since I have only charged it once since I got it. Use it on 2 full face helmets for my wife and I. She enjoys being able to listen to music for her phone, we both appreciate the occasional conversation. Being able to receive a phone call from the kid or sitter is a big help and makes us feel better while on the bikes. Wish the sounds was a little louder, but can have a conversation at 80 MPH. Range is fine for what we do, don't think we've been far enough apart to lose connection. First experience with blue tooth headsets, happy with purchase. Product is great, customer service HORRIBLE! I wish I could give this product a negative rating. Not for the product itself but the lack of customer support. I purchased this product a little over a year ago for a brand new Bell Qualifier helmet. You know the helmet that has the special cut out for the Sena 10S. You also need to purchase the special mount that holds the device into the helmet because the one that comes with the device is for regular external mounting. So an additional $60 something for that. The issue is this, the clamp that holds the device in the helmet does not hold it securely. The device will pop off when ever you are putting the helmet on or taking it off. I contacted Sena for a replacement on this piece because the reseller tells me I need to buy another one because there is an updated clamp... The device has a 2 year warranty, so I contact Sena... ZERO help from them. So long story short, I have to duct tape the thing to my helmet so this expensive device does not fly off while riding! Not good! I love these Sena 10S systems and can't believe I waited as long as I did to get them. I cannot compare these to other Sena systems but I have been very happy with these. I read a lot of reviews on this site and others that stated the speakers don't have bass and aren't loud enough. Regardless I pulled the trigger on these. At first I knew what they meant. I placed the speakers in the recessed cutouts on my Bell Vortex helmet. They fit perfectly in there, so I thought it was good enough. After not being satisfied by that location, I looked though the packaging to find loads of other pieces I didn't use. Among those were some foam risers with hook and loop tape on either side and started experimenting with locations just around the helmet cutouts and found a great location lower and more forward in the helmet near the straps. Now the sound is awesome. Just like wearing a nice pair of headphones. My android phone has a built in equalizer that allows me to boost the bass at the sacrifice of a little music volume, but it's almost too loud anyway so it worked out perfectly. You want those speakers up close to your ear canals, even a small distance makes a large difference. Everything else is simple to do and works great! These are really nifty, and you wont regret buying them! Unless you need to intercom with more than 4 people, these will be perfect for your needs. I upgraded from smh10 to this 10S unit. I will spare you with the detail functions as they're pretty well known and work as advertised. I had the smh10 setup with my helmet and the wire came out from the base unit feels more durable, I have had no issue for the last 3 years using the smh10. But the 10s wires are separated and they feel a lot weaker compared to smh10. I hope that will not be a problem for lifespan of the product. Also about the loudness, when compared to the smh10 it is not louder all all. 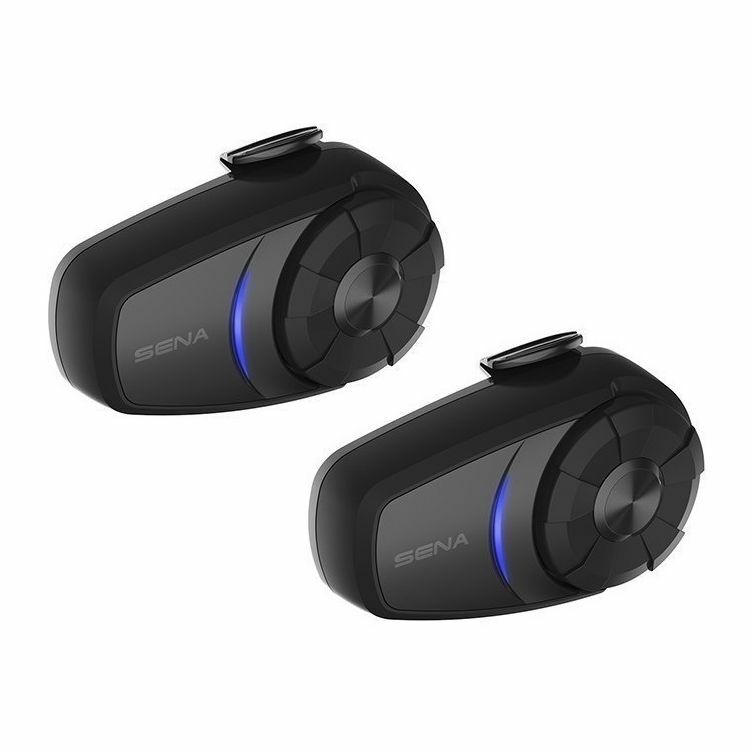 I bought the dual Sena 10S so when I have a passenger we can talk to each other. Well when I used this with a friends daughter the Sena kept disconnecting the entire 4 hour ride. We could talk and hear each other and then we couldn't, both units were fully charged. Then on my ride back from SC to FL the Sena 10S fell off my helmet who knows where. The clip that snaps onto the body that is on the helmet is very insecure causing this expensive communicater to easily pop off. I have one left and had to use wire and duct tape to make sure it doesn't pop off like my other one. This is unacceptable for something this expensive to be so poorly designed. I never had these problems with my old UClear. Friends have them and love them. I’ve read many good reviews. They sound perfect for what we want. I want to be able to talk to my bro as I ride. Friends said it was good. Communicate with my riding buddy. We recently rode with three other guys who all had Sena units and it would have been very helpful to be able to communicate with them. Needed ability to use phone hands free, and to coordinate with other riders in larger groups. Easy to set up and excellent range. Love this. Took it to a trip with a friend to Moab and Death Valley, worked like a charm. Works more than what a passenger would need but my wife will love the flexibility. My son has the 10 and said this was the comm set to buy! I wanted to communicate with my wife and to be able to answer and talk on my phone while riding. These work great! For touring with my wife. THESE ARE FANTASTIC! The sound quality is good & the range is excellent! Only downfall is you can't listen to music while you intercom or navigation while you use the intercom. Other than that the battery is good, quality is good, lightweight and easy to use with gloves on too. Stick out a little bit farther than I wanted but that really wasn't a deal breaker. SIDE NOTE: If you have a Scorpion Exo RF710 the precut holes in the helmet are too small for the speakers, fill them with foam, it works! Heard from a friend that its a good quality system . My son and his wife wanted them for Christmas. Great reviews and didn't need the options of the 20s. I've been looking for a communication system that can accommodate more than 2 people (I have a SMH-5 at this time). When riding in groups, these will come in handy. I chose the Sena 10S because I've read too many problems with the 20S. I have Sena SMH5 units, and they are awesome, but wanted an upgrade. the 10S units have excellent reviews. I want to talk to my love when we ride together. Seems to work OK and is easy to set up. Have not yet toured with it. Our old communicators were not holding a battery charge very long, so we needed new ones. To work with Bell Sena helmets and they work great together. Quality, features and good reviews! So my wife and I could communicate while riding tandem and on separate bikes with good range. I have owned Sena products before and have been happy with quality. Price and new technology meeting what I wanted and use it for. Love the SMH-10, will use that one for work now and use the 10S for my RF-1100 and the extra one for gift to my old man for when we ride together. I want to be able to communicate with my friends and listen to music on those solo rides. Because as much as I can glean from research and reviews, this model is better than the 10R and even 20S, all things considered, for less monetary cost. Whats Sena's saying about the units weatherproofing?. I bricked 2 x Sena 20s units by riding in the rain with them. Talking to Sena they said something about "Inclement weather" which does not really mean anything. Unless they have done a lot of work waterproofing the unit and have specific details on what "inclement weather" means then I'll stay away from this. BEST ANSWER: I have ridden in the rain with my 10s without harm, but this was just in showery/light rain conditions. Per your experience I will pocket the device in a downpour. Thanks. Own the SMH10 unit for over 3yrs, rode many times and many hours in pouring rain (those that you cannot see further than 10 to 20 yards away ). Never have issue. can you listen to music while using the intercom at the same time? BEST ANSWER: No, you cannot listen to music and communicate over the intercom at the same time. Does this work with bell mag 9 helmet ? Do I need a different clamp ? Can you use it and charge it at the same time? BEST ANSWER: The manual says yes. "Can be used while charging on road trips". I have not tried this. Is this compatible with Harley Davidsons? BEST ANSWER: Has nothing to do with bike type. Comms between headsets. It will work with the HD Infotainment Sys with the Sena FreeWire unit..it all will work together if that's your question. FreeWire works for the Goldwing as well. Does the dual pack come with 2 chargers? BEST ANSWER: Yes. It comes with two of everything. BUT note that it does not come with any wall-warts. It comes with two USB cables, and two cigarette socket chargers. Yes, it's two full, identical sets. My buddy and I had the same worry. When I got the package it all split up and we are completely happy. does this unit work on 3/4 helmets? BEST ANSWER: Based on the installation that I did with my helmets I would say no. I live in the northeast and switch between 3/4 with face shield & modular helmets, depending on the time of year. Will I be able to move the device itself from helmet to helmet? Will I need to buy additional mounting equipment? BEST ANSWER: In order to switch back and forth between helmets Witt the Sena device it is a hassle to reset the mounting equipment and wiring. It would be very convenient to have additional mounts so that you can just move the easily removable device. You can move the speakers and mic from one helmet to another in 5 minutes or less. 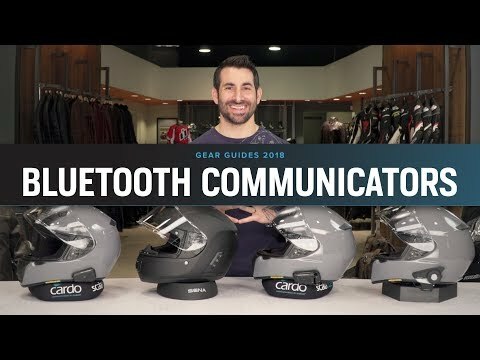 It would be more convenient to purchase a second mounting bracket and speakers for a second helmet if the cost is worth your time. I am not sure, but if it were me, I would buy mounting equipement so all Iwould have to do is attach the bluetooth and go. Thanks, that's probably my best bet..looking into the dual set-up, which means buying 2 more as hubby also switches his helmets. Happy trails! Will the 10S fit a clamp for the older SMH10 or fit the Bell Qualifier DLX/MAG9 Helmet insert? Does this device allow all 4 riders to communicate at the same time as in everyone hears the one speaker? 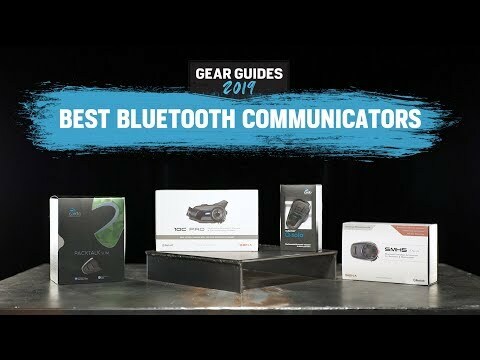 Can this device be connected with other brands of Bluetooth headsets? Are the speakers on this device changeable? BEST ANSWER: I can answer part of the question, yes the device will allow all 4 riders to communicate with each other just like a normal conversation. I'm not sure if the SENA 10S will connect with other brands but it should connect with other SENA devices, I will be able to tell you for sure after this weekend I'm taking a trip with my brother and four other riders and my brother has a SENA 20S and it connects up to 8 riders. I have no idea if the speakers are changeable. Don't know about four riders at the same time, never tried it, but I think it should. Yes, it will connect with other Bluetooth headsets. Yes (but) the speakers are pre-wired from Sena with a small plug to plug into the unit. If you wanted to change them, you would need to re-wire the new speakers. I find the that came with the unit are plenty good enough for listening on the road. I'm not certain about all 4 riders able to communicate at the same time. I have communicated with other headsets manufactures and it was very clear. I've swap these speakers between two helmets, not sure if you mean upgradable. Yes it does and the sound is terrific.